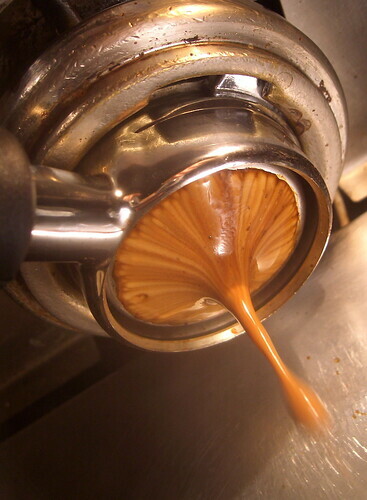 So the hottest thing in the espresso community has been “bottomless”, “naked”, or “crotchless” portafilters. When Sherry packed my espresso machine she forgot to pack my portafilter and my special La Marzocco double basket, so the machines been sitting on my granite countertop and I can’t use them until she brings those with her next time she visits, which is early October. Everything you could possibly want to know about milk and milk frothing is presented to you by Aaron DeLazzer, CoffeeGeek, and Aabree Coffee.